It’s bad enough when you have to share your clothing with a sibling or roommate, but now the family pet is calling dibs on your best shirt? Enough! Fortunately, these cats, dogs, and one friendly fox are only keeping your garments in place, and they will hand them over just when you need them. 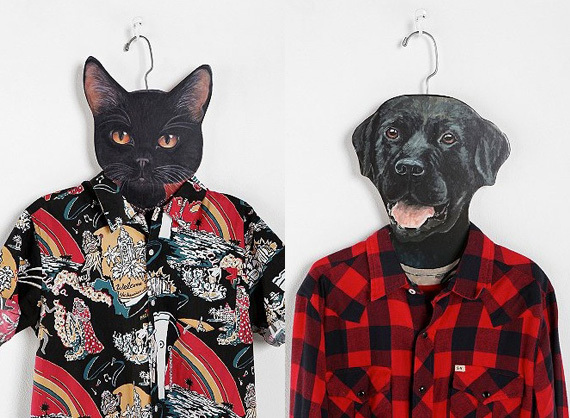 The silly, oversized cardboard hangers are topped with a painted animal head and a metal hanging hook. 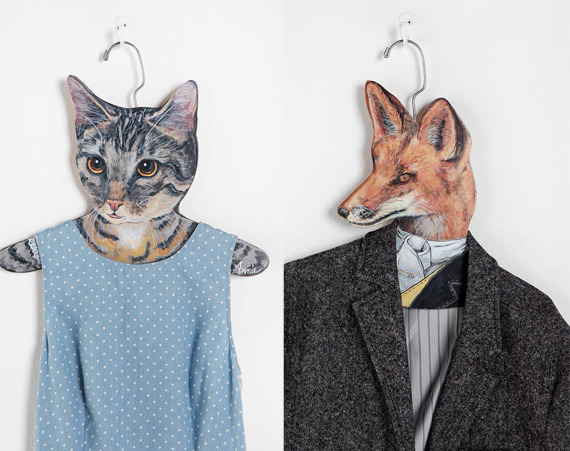 A cat in a Hawaiian shirt, a black lab in a sun dress, a fox in a sports coat? Who can resist?